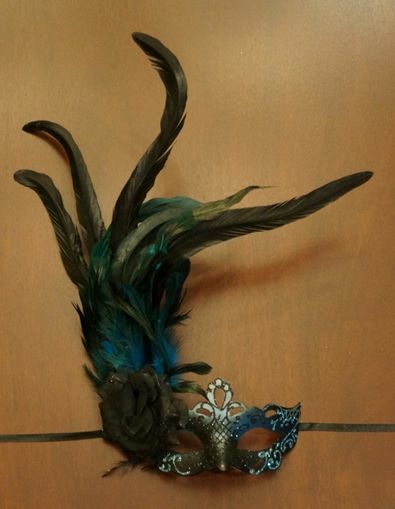 This intricate masquerade feather mask has cutout detail with a hand painted glitter design. Mask is made out of a hard, durable plastic core. Easy and comfortable to wear to your masquerade ball with black ribbon ties.